Audi E-tron Performance, Engine, Ride, Handling | What Car? What’s better than a powerful electric motor? Try two – a big one for the rear wheels and a smaller one for the fronts. Producing 402bhp between them, the benchmark 0-62mph sprint can be dispatched in 5.7sec. 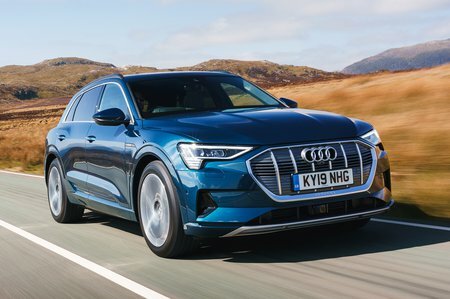 It’s safe to say the E-tron is pretty rapid, then, and – as with all electric cars – its acceleration is near-instantaneous. However, both the Jaguar I-Pace and Tesla Model X are faster still, plus the E-tron only gives you the full beans when you flick it into S mode – and even then, you only get maximum power in eight-second bursts. The rest of the time you’re forced to make do with ‘just’ 355bhp and 0-62mph in 6.6sec. Audi claims this is because it was more interested in prolonging the battery’s useful life than embarrassing supercars in a straight line. However, while the official 241-mile range should be enough for most frequent journeys, it still falls short of the I-Pace’s 292 miles. The standard air suspension does a good job of wafting you along when it’s in Comfort mode. True, the E-tron’s giant 20in or 21in wheels do pick up on some road surface imperfections, but these are never intrusive enough to be irritating. Switch to Dynamic and things become noticeably more jiggly over broken city streets. On fast undulating roads, though, it’s the setting you’ll want, keeping vertical body movements tightly controlled. Despite weighing more than 2.5 tonnes with a driver on board, the E-tron handles bends pretty tidily. The suspension does a good job of preventing the car from leaning like a well-known Italian tower, the wide tyres provide lots of grip and the steering is precise enough. If you’re looking for fun, though, we’d recommend you take a closer look at the Jaguar I-Pace. It changes direction more eagerly and has more reassuringly weighted steering. 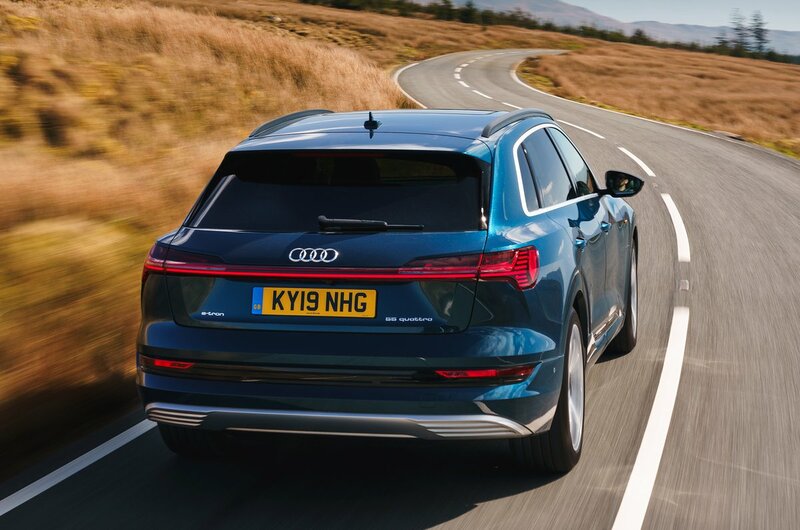 Even if you have conventional door mirrors rather than cameras, the E-tron generates next to no wind noise, while road noise is also very well controlled and the electric motors are much quieter than any petrol or diesel engine. What’s arguably even more impressive, though, is what happens when you slow down. Despite juggling between regenerative braking (basically using the motors as dynamos to charge the battery) and using its regular friction brakes, there’s no discernible change in pedal feel when you press harder and the car moves from one system to the other. That’s very rare in hybrid and electric cars, which often have brakes that feel quite grabby. 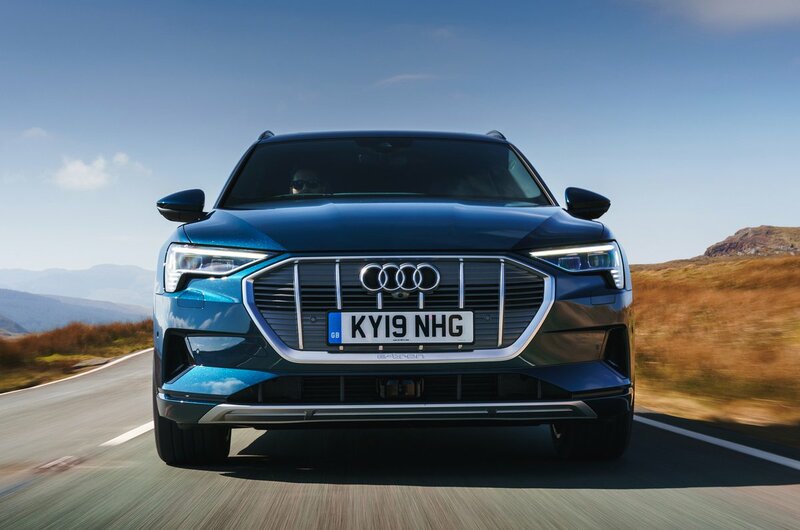 Add in an accelerator pedal that’s very consistent in its responses – as long as you’re not in the Efficiency mode, which adds some dead travel at the top – and the E-tron is a very easy car to drive smoothly.